The latest polls show that the DPP is struggling to retain the mayoral seats in Kaohsiung, Changhua, and Taichung. 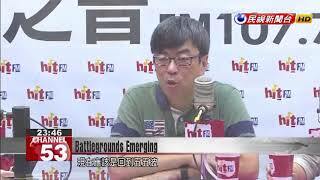 In a radio interview, a DPP lawmaker said he did believe there was a real risk of losing Kaohsiung. He also said the DPP was to blame for its candidate's poor showing. Meanwhile, a DPP councilor raised a red flag over the race for Taipei City Council, saying that the ruling party stands to lose five seats. Ahead of the mayoral election, polls carried out by select media outlets have set off alarm bells for the DPP, which risks losing strongholds like Kaohsiung. DPP lawmaker Tuan Yi-kang admitted that his party was in difficult straits. I think that the root of the problem is the DPP. It is our problem. We have been very slow in picking up changes in public opinion. We didn't expect things to change so rapidly, and we quickly fell behind. But I believe that now we're in a dead heat contest. The DPP lawmaker said the mayoral race was being influenced by opinion polls with a political agenda. Frankly speaking, I feel that the opinion polls have slowly become propaganda. They are no longer polls. I even suspect that polling agencies are being told to cheat. We may have to consider legislation to repair the loopholes. The mayoral election isn't the only race that's giving cause for concern. The ruling party also fears for its fortunes in the councilor election, particularly in Taipei, where they stand to lose five seats. This year, our pie is already smaller than before. And now you cut up this small pie and share it with the New Power Party and the Social Democratic Party. Meanwhile, the Taipei City Council's DPP caucus has launched a campaign blitz to shore up votes. Next Monday, Presidential Office Secretary-General Chen Chu is set to make a rare appearance at a press conference to stump for the DPP's councilor candidates.